These little cupcakes are so delightful and simple to prepare for parties for kids or adults. For dairy-free and vegan frosting ideas, check out some of my favorite Dairy-Free Frosting Recipes. 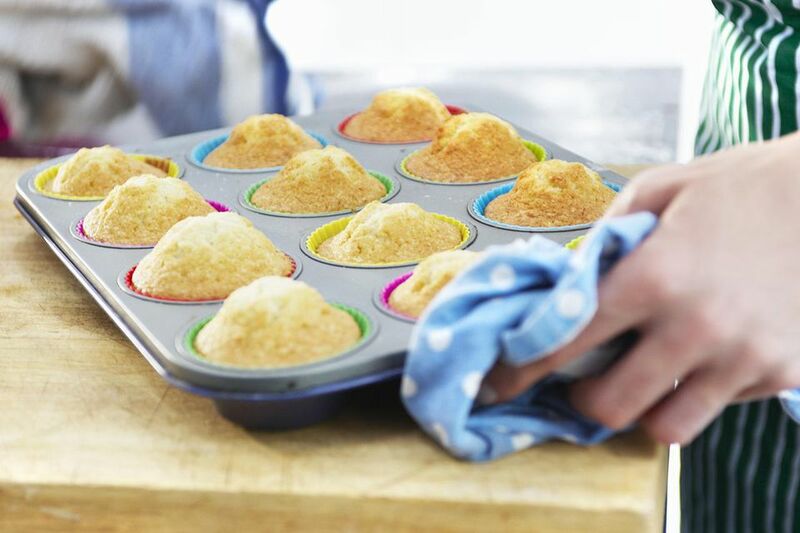 Preheat the oven to 350 F. Line muffin pans with 16 cupcake liners and set aside. In a small bowl or cup, combine the soy milk and lemon juice, whisking until combined. (Mixture will curdle.) Set aside. In a large mixing bowl, sift together the flour, sugar, baking powder, baking soda, salt, and sugar. Set aside. In another bowl, whisk together the soymilk mixture with the canola oil, vanilla extract and hazelnut extract. Add the wet ingredients to the dry, mixing until just combined. Portion the batter in to the prepared pans and bake for 15 to 20 minutes, or until a toothpick inserted into the center emerges clean. Allow the cupcakes to cool on a wire cooling rack completely before icing with Dairy-Free Frosting of your choice. **This recipe is suitable for dairy-free, lactose-free, vegan, and vegetarian diets, but as with any recipe intended for persons with allergies or dietary restrictions, make sure to read all nutritional labels carefully to make sure that there are no hidden dairy-derived ingredients (or other allergens, if these apply to you). How Do You Make Dairy-Free Vegan Lemon Cupcakes?